Steve received a BS in Animal and Dairy Science from Auburn University in 1987 and a Masters in Animal Nutrition from Texas A&M in 1989 with a focus on forage production and feeding. Steve served on the research and marketing staff for the National Cottonseed Products Association after graduate school. In 1991, he joined Purina Mills as a field dairy nutrition consultant. Working in this role for 14 years, Steve had the opportunity to work for many large commercial dairies in the southwestern US. The experience with Purina led to a new opportunity to work on the production side of the industry as a member of a dairy management team in the Texas panhandle. In 2006, Steve re-entered the consulting world, but this time as the founder of Dairy Nutrition and Management Consulting, LLC. Steve excels in areas of diet formulation and modeling, feed/milk economics and heifer feeding strategies. After 25 years in the industry, the broad goal of Steve’s effort is to maximize the convergence of biology and economics for DNMC. 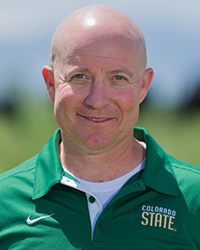 Steve and his family now make their home in Northern Colorado where he leads the team’s efforts across the western US. Jay earned his BS in Animal Science from Texas A&M University in 1995 and MS in Animal Nutrition from West Texas A&M in 2000. Jay spent the first part of his career working in the manufacturing, research, sales and technical service of various feed ingredients. Jay’s experience on the supplier side of the industry helps DNMC maintain focus on the feed/milk economics on the dairy. This experience also allows DNMC to ensure the best value delivery of micronutrients in the diets of DNMC client herds. As a result of 17 years of industry experience, Jay brings a high level of professionalism to DNMC. In addition, his nutrition education keeps with the philosophy of DNMC of building a highly qualified team of nutrition professionals. With this background and experience, Jay has become a proven field nutritionist for DNMC. He also manages the implementation of the various services offered by DNMC. Chief among these is the production of each client’s weekly Green Sheet. It is in this role that Jay has gained a valuable perspective of how overall dairy profitability is impacted by milk solids production, ration formulation, ingredient markets and milk pricing. Jay and his family live in the small Texas Panhandle town of Happy. Erika was born and raised in a cattle ranching family in South Africa. She attended the University of the Freestate, where she graduated with a degree in Agriculture. After graduation, Erika was employed by the Department of Animal Health, before joining her father on the family ranch. Erika’s first experience with the dairy industry was at her grandfather’s dairy. Though the dairy was small, milking only 20 cows, this experience initiated her interest in the dairy industry. After arriving in the USA, Erika quickly became involved in today’s modern dairy industry. She began on a 2600 cow dairy, where she was exposed to all aspects of the operation. This herd expanded during her employment to milk 4,000 cows. The next step for Erika was the chance to be the overall herd manager of a 1,000 dairy. In both of these roles, Erika became proficient in the use of several types of dairy herd management and feeding software programs. She offers support to DNMC clients in the areas of feed program management, dairy management software and numerous dairy spreadsheet applications. Her dairy management experience is a great “real world” asset for the group. Erika manages the Feed and Milk Model application for DNMC’s clients. 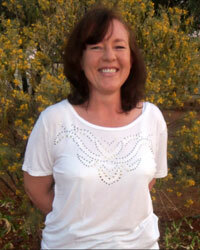 Now located back at home in South Africa, Erika also leads DNMC’s efforts in overseas markets. Kraig received his B.S. from Angelo State University in 1988, a Master’s of Science from Texas A&M University in 1997 and a PhD from A&M in 2000. 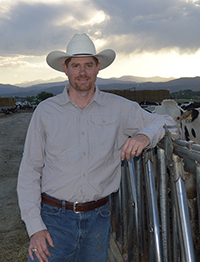 Kraig joined DNMC in 2016 as a nutrition and management specialist after spending 14 years on the faculty at Colorado State University, Department of Animal Science. 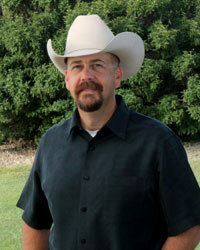 Kraig began his career as an extension agent in Del Rio, Texas. He then transitioned to ranch management in South Texas before returning to graduate school in College Station. Graduate studies involved general animal performance, reproduction, and meat and muscle biology. Kraig began his relationship with DNMC as a consultant to the group in 2015. In this role, he added value through expertise and experience in livestock production systems and animal evaluation. In addition to completing these important tasks himself, Dr. Peel has been helpful in the process of developing and standardizing the farm visit evaluation task completed by DNMC for its client farms. As a full time member of the DNMC team, Kraig will continue to have a positive influence on the DNMC clients. Kraig and his family make their home in Northern Colorado. 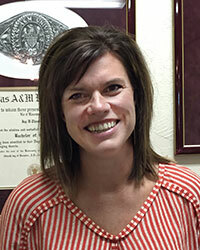 Diana grew up around livestock and earned a BS in Animal Science from Texas A&M University in 1996. Diane has been a part of the DNMC team for five years. In this role, she is critical in the process of summarizing dairy performance data and communicating these reports to the DNMC team and clients. Diane works in the development and implementation of the DNMC Weekly Green Sheets and the new yearly trend analysis. As well, Diane assists the team with various special projects and is involved in the planning an implementation of the annual DNMC Dairy Summit. Additionally, Ag Advocacy is near and dear to Diane’s heart. Through various outlets, she promotes youth livestock programs, the dairy industry and agriculture in general.